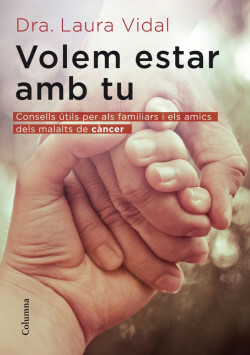 Doctor Laura Vidal, supervisor of the gynaecologic oncology division in the Hospital Clínic, Barcelona, condenses in a practical and pleasant way her experience in the social environment of cancer patients. The guide follows all possible phases of the illness from diagnosis, and covers aspects as delicate as the fear of return or incurability. “Why me?”, “What can we expect?”, “Will I be the same as before again?”, “Am I out of risk?”… These most natural and common questions each open the chapters of the book. The result is a set of useful and tried-and-tested advice for overcoming natural disorientation and setting a bond shared between family and friends.